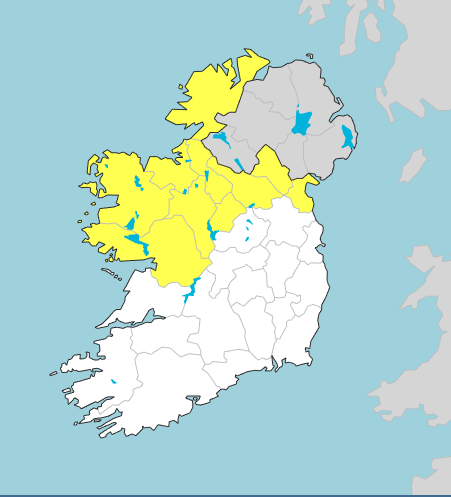 Worth keeping a seperate thread for this spell of weather I think , could be some interesting observations coming in over the next couple of days. What date is it today??? I wish it was an April fool I'm driving out of Connacht tomorrow across the country - Hopefully the roads won't be too bad. Although I could see it in the charts I was kinda hoping this would not happen , the little taste of summer last week turned my head ! I think it could be a every season in a day type of weather . The WRF -NMM fairly gung ho with the snow /wintry shower potential . Blustery day with a notable windchill. Temperature look to struggle to get up to 5 or 6C in general tomorrow, maybe up to 7 or 8C near coasts . Last edited by Meteorite58; 01-04-2019 at 18:57. The Euro 4's take on the sleet / snow showers, not showing much accumulating on this run. 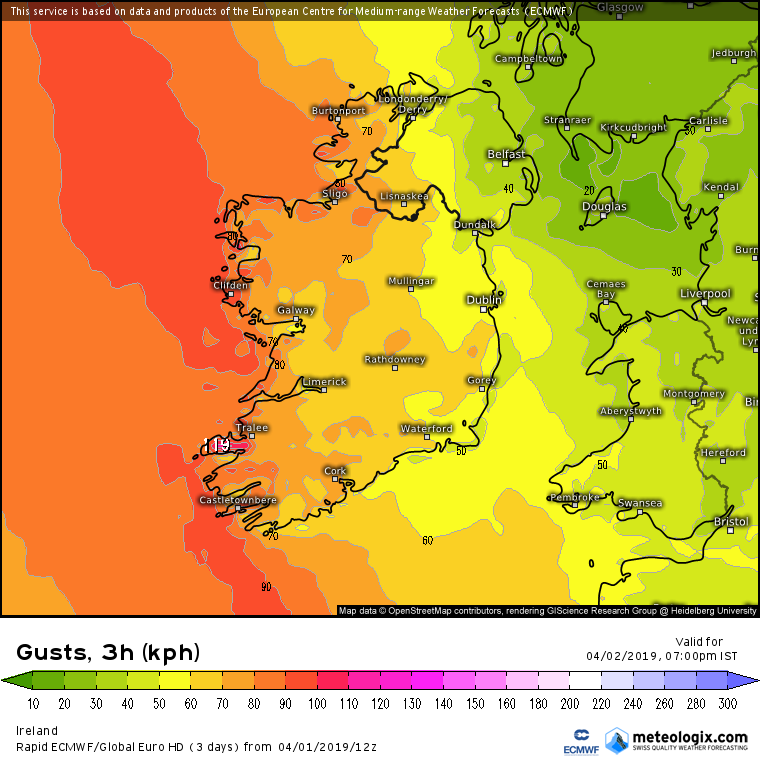 Shows the convective nature of the wind gusts well especially along coasts. The strong winds did not materialize yet going to be quite windy all the same . ECM showing some snow accumulations on hills /Mountains mainly. Every sort of a shower tomorrow by the looks of it. Heavy squally showers with thunder and hail thrown in for good measure. Winds starting to back more to the NW now behind the cold front, some nice heights on those clouds. Temp down to 6.5C now here near Tralee and raining . Too late for this messing. Bring on another heatwave please, and lock winter away in its cupboard until November. Winter isn't allowed to be released from November to February, remember? The Arctic weather seems to be shoved down here in Spring commonly now. It will probably be cold ALL April compared to average. Still a "balmy" 5c here. Id say daytime showers will be so blowy that any whiteness will disappear with each shower ceasing. There really are few words! Tristan da Cunha looks good ..